Consumer advice for new car shoppers. Gap insurance can be useful if your car is ever totaled. There are various types of car insurance coverage available including collision and comprehensive coverage. Automotive liability typically comes under two categories bodily injury liability and property damage liability, both providing much of the coverage required by state law and what consumers usually seek and need. Yet, there are other forms of auto insurance coverage including gap insurance. As the name suggests, this type of insurance closes the gap between what you owe on a car and what it is worth following total loss or a theft. You may think that you don’t need gap insurance, but without such coverage you could be left holding a hefty bill. Gap insurance is particularly useful for consumers who own a new car. For instance, that BMW 328i Coupe has cost you $41,100 and you’re financing it with a $39,000 auto loan. You’ve made six payments of $380.44 per month (taking out a 5-year loan at 4 percent) and have reduced your outstanding balance to $36,717. One day, you find yourself driving down the road and you hit a patch of ice. Your car suddenly veers out of control, heads down an embankment and t-bones a tree on the passenger side. You’ve got some scrapes and bruises, but fortunately, you were able to leave your car relatively unscathed. Unfortunately, your car has sustained heavy damage and it won’t be drivable again. 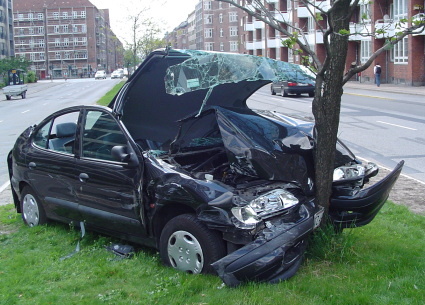 Your insurance company has evaluated your car and has determined that repair costs will exceed what the car is worth. That worth is its actual cash value or what your car would fetch if you were to sell it. Your insurance company has pegged its value at $34,100 based on 20,500 miles driven. With its $1,000 deductible, you’ll be given a check for $33,100 and soon find yourself owing your financing company $3,617, representing the difference between the cars ACV and your remaining loan payments. That difference is a gap and that is where gap insurance comes in. If you opted for gap insurance, the $3,617 difference would be covered by an insurance company and payment would be made by your insurer to your lender, freeing you of any further financial obligation. Not every auto insurer offers gap insurance. Some companies, such as Progressive Insurance, do not offer gap insurance. Instead, you may be covered by a loan/lease payoff arrangement that limits the insurer’s payout maximum to 25 percent of your vehicles ACV. You may be covered, but your deductible would still be your responsibility. Check with your insurance carrier to see how you would fare if your car was totaled or stolen. Gap coverage is especially desirable for upside down car buyers or people who owe more on their cars than what they are worth. And if your auto insurer doesn’t offer gap insurance, your lender may advises Monica Steinish writing for the Credit Union National Association. Of course, one way to avoid a gap is to put down more money on your new car. When you put down at least 20 percent on your new vehicle, you are essentially assured that gap isn’t an issue with no worries that you’ll be socked with an outstanding payment from your lender.